Billy Denton Plays One-Hit Wonders! 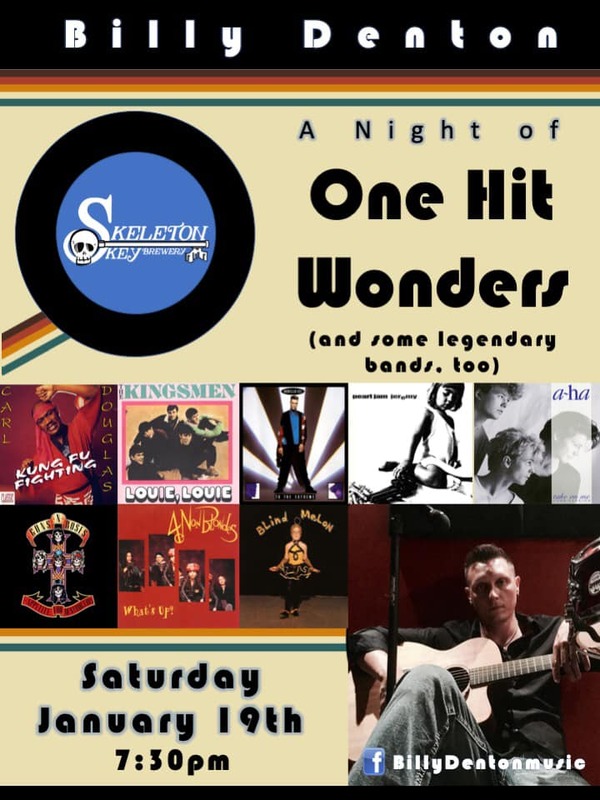 If you missed out the first time, Billy’s bringing his “One Hit Wonders” set back one more time with his friends at Skeleton Key Brewery! It’ll be a non-stop one hour medley of the biggest “one and done” songs from the past 50 years! Don’t miss out a great night of nostalgia and singing along to all your favorites!